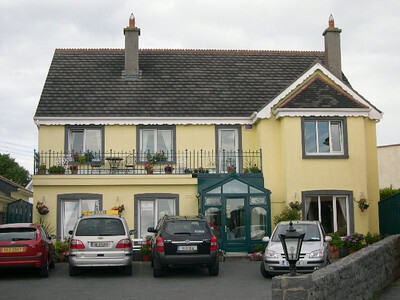 Atlantic Heights Guest House in Salthill, just outside Galway. 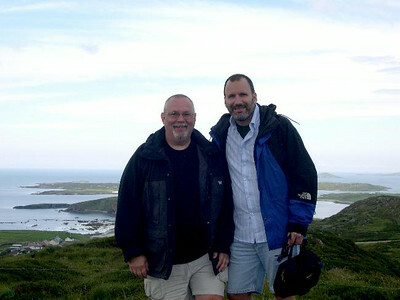 Ed and Joe in County Galway, overlooking the Atlantic Ocean. 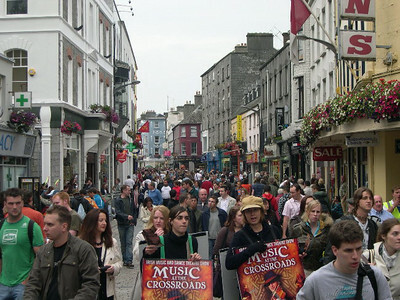 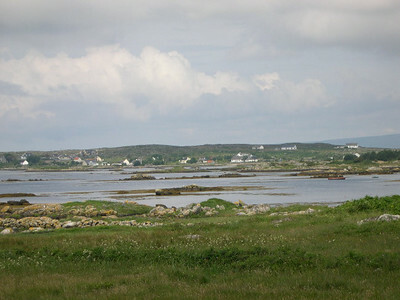 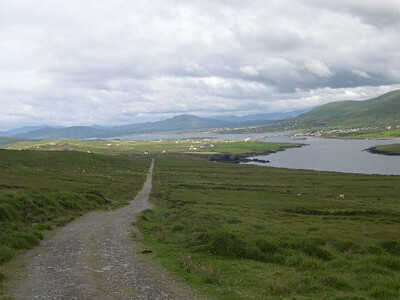 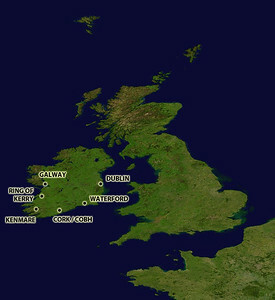 County Galway in Western Ireland, looking north towards the Connemara. 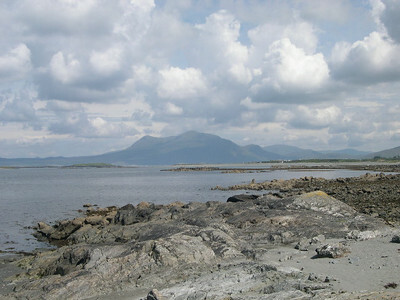 Looking out across Kilkieran (Cill ChiarÃ¡in) Bay in County Galway. 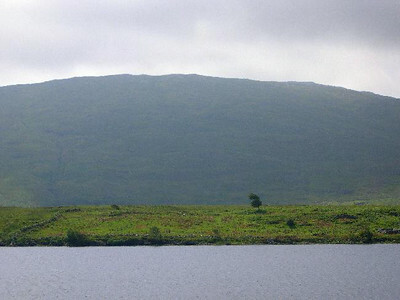 The Irish countryside above Kilkieran Bay. 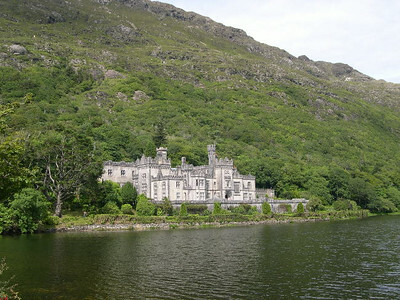 Kylemore Abbey, built as a country home in the late 19th century, sits on Kylemore Lough on the slopes of the Twelve Bens in northern Connemara National Park. 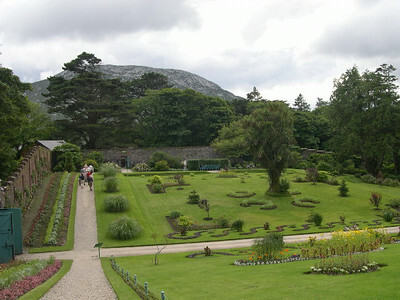 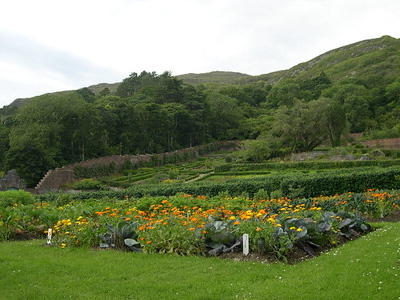 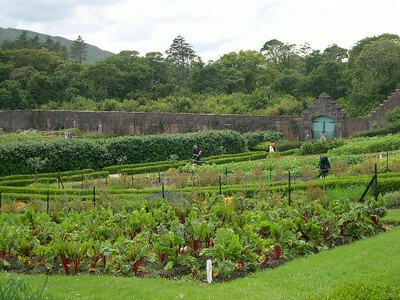 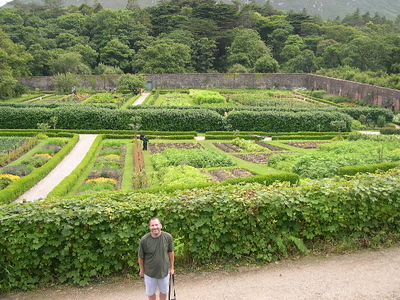 The formal gardens at Kylemore Abbey. 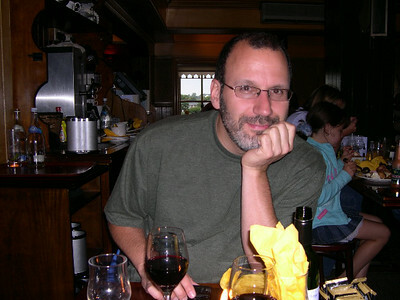 Joe at dinner - our first night in Ireland. 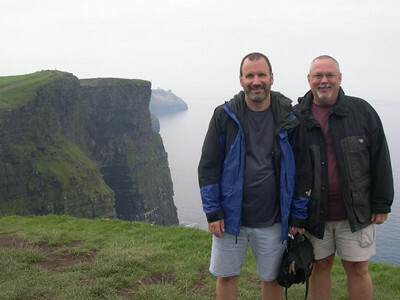 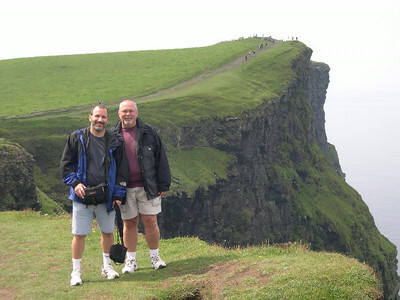 Joe and Ed at the Cliffs of Moher on the western edge of The Burren. 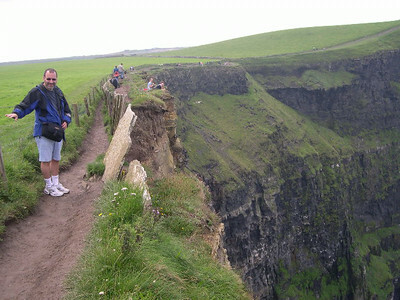 A narrow path, at times ridiculously close to the edge, winds its way along the Cliffs of Moher from the visitorâ€™s center to Hagâ€™s Head. 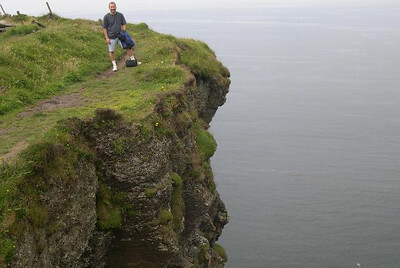 Again, ridiculously close to the edge of a 750 foot drop. 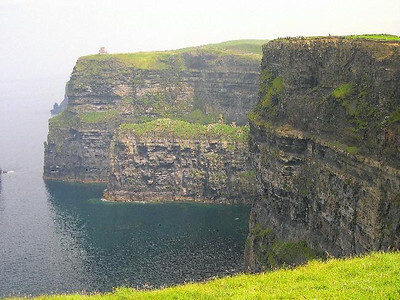 The Cliffs of Moher, on the western edge of The Burren in County Clare. 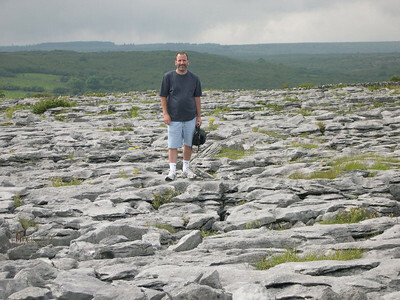 The rocky terrain of The Burren (boireanne) in western County Clare. 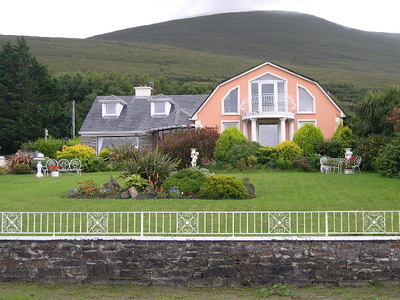 The Ocean View Guesthouse in Glenbeigh, Ireland (along the Ring of Kerry). 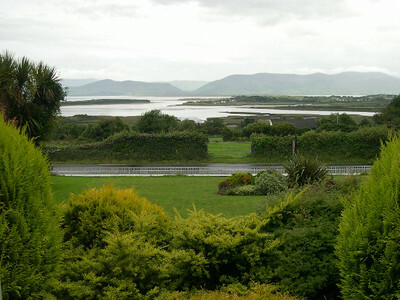 The view from our room, looking north across Dingle Bay towards The Dingle Peninsula. 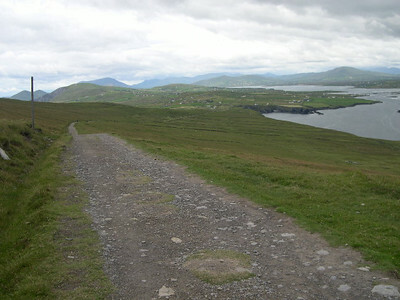 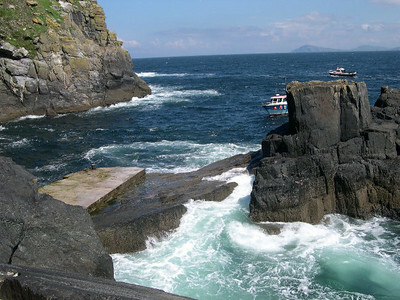 The famous Ring of Kerry on the Iveraugh Peninsula. 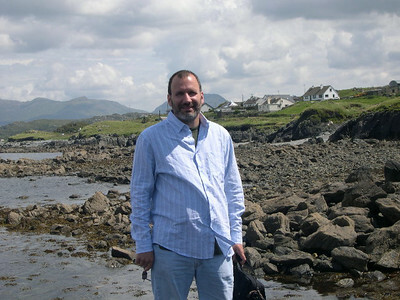 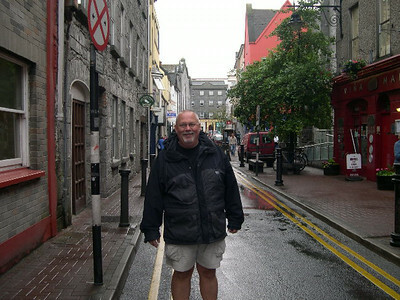 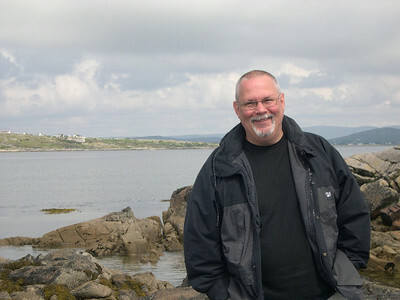 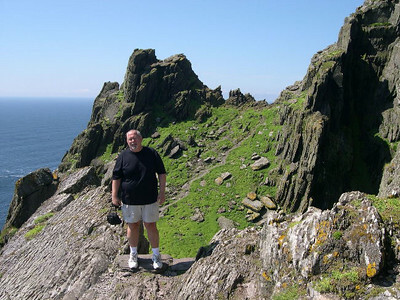 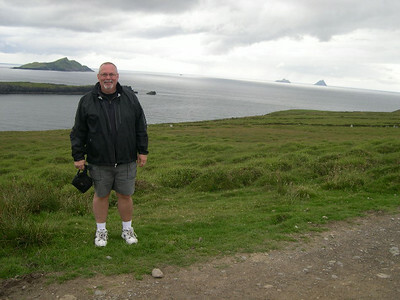 Ed -- hiking up to Bray Head on Valencia Island with Skellig Michael in the background. 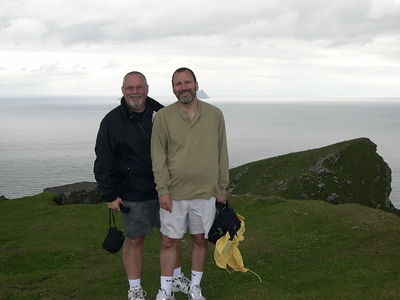 Ed and Joe â€“ hiking up to Bray Head on Valencia Island. 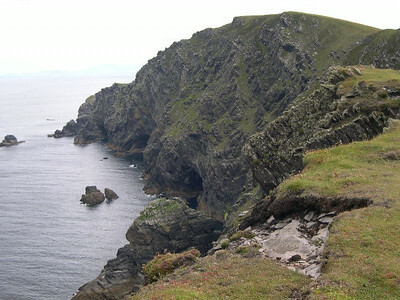 Bray Head on Valencia Island. 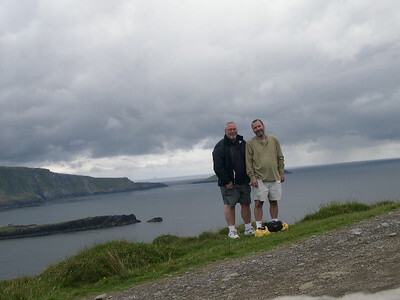 Ed and Joe - at the top of Bray Head on Valencia Island with Skellig Michael in the background. 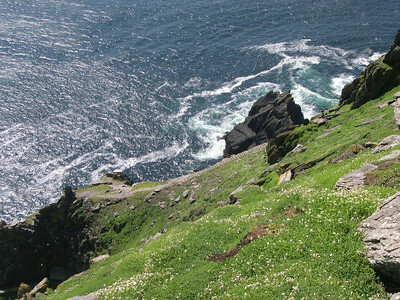 The rugged Irish coastline in western County Clare. 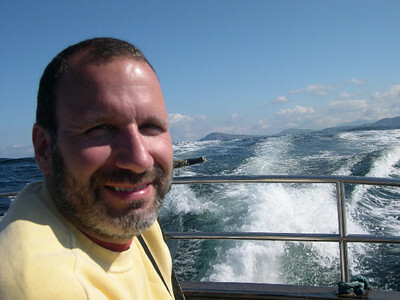 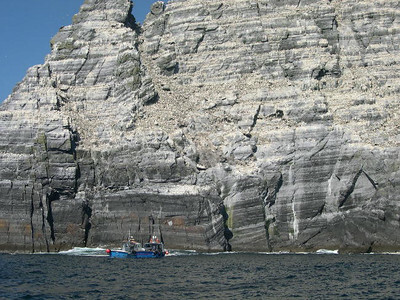 On the boat trip out to Skellig Michael. 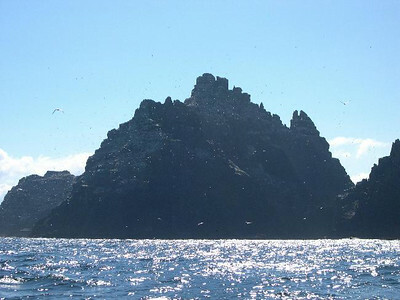 Little Skellig, uninhabited except for about 10 million puffins and terns. 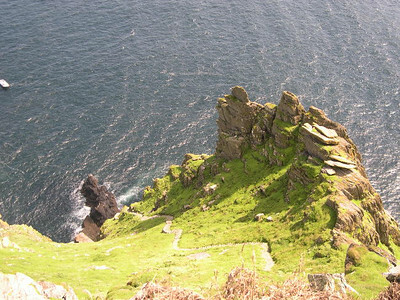 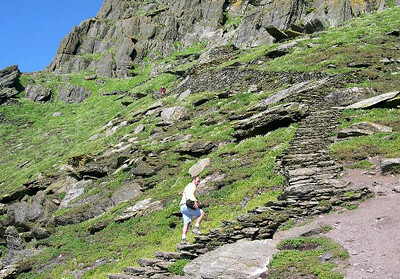 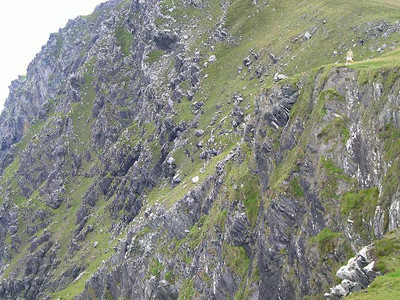 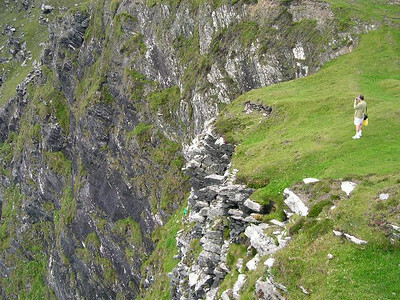 Joe begins the steep climb to the summit of Skellig Michael â€“ about 1000 steps, built by the monks that lived there from about 400 AD to 1300 AD.